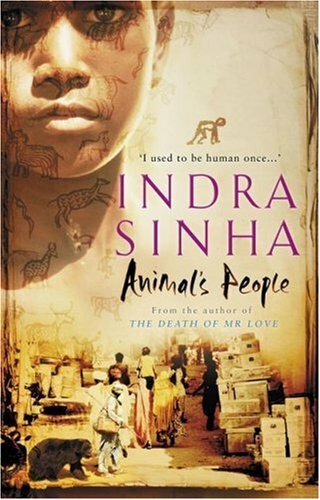 Animal's People by Indra Sinha is fictional story that mirrors the horrendous Bhopal gas tragedy that happened in the mid 1980s and in a single fateful night ruined thousands of lives. The story is set in the fictional city of Khaufpur. It revolves around a boy named Animal. He calls himself so because he walks on all his fours. He had survived the night, his parents had left him at the gate of a French missionary church. But, as he grew old, his spine was seriously deformed, leaving him to walk on four limbs. Animal records the story of his life at the request of a French journalist who visits Khaufpur to prepare a document about the consequences the people of Khaufpur faced post 'That Night'. Ever since he can remember, animal has gone on all fours, the catastrophic result of what happened on 'That Night' when, thanks to an American chemical company, the Apocalypse visited his slum. Now, not yet twenty, he leads a hand to mouth existence with his dog Jara and a crazy old nun called Ma Franci, and spends his nights wondering what is must be like to get laid. When a young American doctor, Elli Barber, comes to town to open up a free clinic, Animal plunges into a web of intrigues, scams and plots with the unabashed aim of turning events to his own advantage. This is the kind of novel that you won't enjoy reading, yet would want to read. I read this novel really slow. Once I was into it, I could read it for a while but, when I set it aside, it took me days to pick it up again. That is largely because the subject matter of this novel is a tragedy and it is all pervasive throughout the novel like a lingering shadow. Also the way the novel is written didn't impress me. For one thing, I was put off my the generous use of Indian slang through out the novel and the vivid descriptions of Animal's sexual fantasies. The frequent use of French, Urdu, Hindi in the midst of English prose irritated me. The author has done a commendable job in describing the plight of the people affected by the tragedy. But, something about the way the story is narrated doesn't make it a compelling read. I wont go over the top to recommend it to anyone but, if you are interested in reading any account of the Bhopal gas tragedy then, surely give it a read. I would give it a balanced 3/5 rating.